Synopsis: From Disney comes two-time Oscar winner Brad Bird’s riveting, mystery adventure Tomorrowland, starring Academy Award winner George Clooney. Bound by a shared destiny, former boy-genius Frank (Clooney), jaded by disillusionment, and Casey (Britt Robertson), a bright, optimistic teen bursting with scientific curiosity, embark on a danger-filled mission to unearth the secrets of an enigmatic place somewhere in time and space known only as “Tomorrowland.” What they must do there changes the world-and them-forever. Tomorrowland is a lot like chewing a piece of gum. For the first little bit, the experience is bursting with flavor, but eventually that initial excitement gives way to plainness. What was at first dazzling and full of wonder eventually devolves into a plodding mess. Tomorrowland means well, there’s no doubt about that, but in the end it is a wholly forgettable film overwrought with wasted ambition. It’s nearly impossible to sum up Tomorrowland‘s story in just a few sentences. In fact, it doesn’t even become clear what exactly is happening in the film until at least the halfway mark, which in itself is a major problem. We meet Casey Newton (Britt Robertson from Delivery Man), a wide-eyed dreamer filled with optimism, and through a chance encounter with a mysterious ‘T’ pin, Casey uncovers an incredible world, called Tomorrowland, where invention and imagination know no bounds. Compelled to learn more, Casey sets off to find answers, and eventually she crosses paths with Frank Walker (Gravity‘s George Clooney), a genius inventor whose own experience with a pin, and even a brief stay in Tomorrowland, have soured his outlook on life. The film goes on from there, and there are a few twists and bumps along the road. With screenwriter Damon Lindelof penning the script, there was bound to be more to Tomorrowland than just your average summer movie fare, but here that world building folds in upon itself. So much of the story is spent building up each element of Tomorrowland that when it comes time to to actually get into the why of it all, there’s barely any of the film left. In fact, one might argue that Tomorrowland could have worked better as a novel than a film, despite the imaginative visual design. To its credit, Tomorrowland does have a tremendous sense of style and place. The way director Brad Bird envisions this world of unfettered innovation is wholly unique, combining the antiquated with the sophisticated. Even the modern day stuff, which crosses over with Tomorrowland’s future tech, has some flashes of creativity, especially in the way it envisions ray guns. It makes for a film that’s fun to look at and pick apart, but only from a surface level. The glossy veneer of Tomorrowland is enticing, but its ability to present deeper layers beneath falters as a result. Ray guns, jetpacks, and robots are all prime summer movie fodder, and yet Tomorrowland fails to make those elements exciting. Each is well designed from a production standpoint, but that will only get you so far. 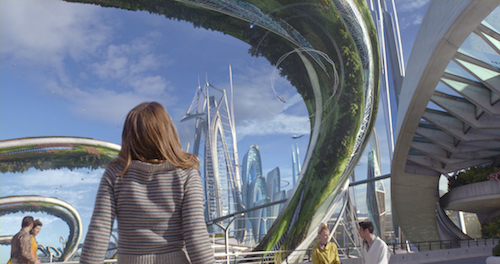 By the time the credits roll on Tomorrowland, most will consider the film a distant memory. It begins with good intentions but eventually the need to explain each detail gives way to a sense of boredom, as nothing tangibly compelling presents itself. The cast is fine and the design and look of the film is admittedly crisp and stylish, but those are all just surface level compliments. 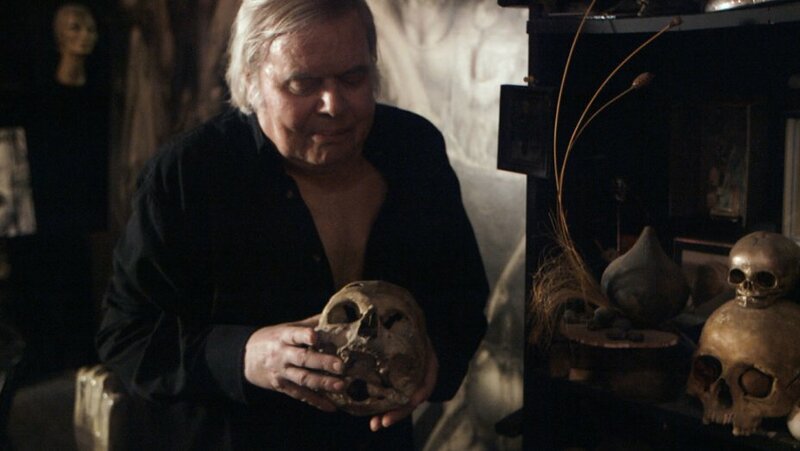 Wipe all of that away, and you’re left with a film that feels hollow at its center and increasingly dull. Tomorrowland has lofty aims, but the film is a pretty big misfire. Known for his work on The Incredibles and Mission Impossible: Ghost Protocol, director Brad Bird is a visually inventive craftsman. He knows how to dazzle his audience with unique set pieces and clever design. The same is true of Tomorrowland, but where as those aforementioned movies’ production elements were motivated by story, this film’s are not. Even so, it’s hard not to be impressed by the way the film continues to come up with interesting ideas. How Tomorrowland reimagines the origins of the Eiffel Tower, for example, is neat, even if it is a little goofy. In the end, Brad Bird succeeds in delivering a visually creative film, just not one that’s particularly exciting or engaging. He deserves some credit on both side of the coin: for making a film that feels unique in its design but also for not tying all those disparate elements into something worth recommending.